Growing Restaurant Management Group, with multiple Concepts currently in six states and looking to more than double in size in the next few years, seeks experienced General Manager to lead a Team in one of their Fast Casual restaurants. If you are looking for a great opportunity to join a stable Restaurant Group with a great Culture with opportunities for Growth, then you have found us! Please apply today! The desire to have fun at work! Vacation - 3 weeks to start for GM's!!!! I LOVE what I do! This isn’t a job for me. It had been a long time since I went to bed at night and couldn’t wait to get up in the morning to start working again; I have this energy and passion again as a recruiter. The bonus is I work with a great group of people at Goodwin Recruiting, and every day I get to speak with other hospitality professionals, so I still feel connected with the industry. I feel like I have the opportunity to have a positive effect on someone’s life when I work with them to find a new career opportunity or have the chance to help a client find a leader for their operation. Being a recruiter gives great personal satisfaction in helping people. Rick Duarte started with Goodwin Recruiting on February 14, 2017. Rick literally grew up in the restaurant business. His playpen was in the back of his grandfather's restaurant! His mom worked part-time at a bank across the street and would drop him off in the morning, and his grandfather and the cooks would take care of him. He was the only one in his family to go into the restaurant industry. His grandfather said it was because at an early age he was exposed to the aromas of great food and the excitement of the kitchen. When Rick worked for Marriott, he attended classes at the Culinary Institute of America in Napa. He also attended seminars at The Ritz Carlton. Rick was the Director of Food & Beverage and AGM at two resorts in Durango, CO. He opened three Marriott properties in Utah – Ogden, Provo, & University Park. He also opened the first new build W Hotel in San Diego, CA and The Lodge at Torrey Pines in Del Mar, CA as the Director of Food & Beverage. Rick served as the General Manager of Sundara Inn & Spa in Wisconsin. He served as an Ambassador at the Global Wellness Summit in Aspen, New Delhi, and Marrakesh. 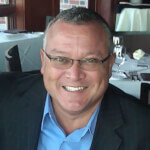 Rick was also an Area Manager with Food Fight Restaurant Group, overseeing multiple restaurants and concepts. Additionally, Rick was a Restaurant Manager, a Bar Manager, and a Night Club Manager at various restaurants, bars, and nightclubs in California. Rick loves to cook! It is his therapy. He considers it his chance to be creative and does mindless work where he can relax and enjoy some “me” time. Rick loves football – college and pro. He is an avid photographer. Rick and his wife like to travel and enjoy food experiences. They make it a point to enjoy different culinary experiences wherever they go.